I noted in the last Why I #ChooseCruz the character trait of honor, as one of the things the passage from Philippians 4:8 pointed me to looking at. But, the next thing that comes to mind takes me to a different concept in Scripture, that of Wisdom. There has been a lot of criticism toward Ted Cruz because he lost the battle over stripping funding for Obamacare back in 2013. Or because there are no major legislative accomplishments for him to point to over the few years since he took office. It strikes me that we need to take a moment to examine those criticisms. Which leads me to knowing how to pick your battles, and understanding that it isn’t simply the battles that are important, it’s winning the war. This is a high wisdom concept. It requires not only knowledge, will to fight, and integrity, but an understanding of what to do with what you know in order to accomplish your goals. Ted Cruz has demonstrated this consistently throughout his career, not just in the Senate. One of the articles I was reading regarding his time working notes that Ted Cruz and his boss, Greg Abbot, during Cruz’s time as Texas Solicitor General did not argue nine cases before the Supreme Court by accident. Instead, they sought cases that specifically addressed areas where the rights of the people under the Constitution had been eroded. The sought cases that would highlight that erosion, and press the court to make decisions on things that had been slowly being taken away based on overreach of the government and broad application of narrow previous court rulings. Of those cases, he won five and lost four. We could look at that and conclude he only won a little over half his cases. Or we could look at that and realize that he was instrumental in the Supreme Court’s ruling that the gun ban in Washington, DC was unconstitutional, setting the precedent for the individual nature of the Second Amendment to be incorporated as so many of the other Bill of Rights and Amendments have been. We can note that the case defending the Ten Commandments monument on public land in Texas upheld the right of the states to maintain such monuments, and that it was not the right of Congress to interfere with the states and their people’s rights. We can also note that in the case of Medellin Cruz also argued and won that the sovereignty of the US and the States could not be made subject to the authority of a foreign court. And in the Newdon case, he was instrumental in shutting down a militant atheist attempting use his daughter to press to remove under God from the pledge of allegiance. These were strategic battles. Chosen for the purposes of highlighting and restoring where possible rights that had been eroded by years of ambiguity in political discourse on such things. They were chosen before Senator Cruz was looking to become Senator or President. They were chosen because Mr. Cruz believes in upholding the Constitution, and when offered a position that gave him the ability to fight for that belief, he rose to the challenge. The same is true of his actions in the Senate. While the filibuster did not stop the spending bill that included Obamacare funding, it did highlight the politics as usual deals that were going on. It also demonstrated to the American people that a government shutdown doesn’t actually shut down the government. And it demonstrated that there was, finally, a small faction of people in Washington, DC who were listening to the voice of the people and working to change the way things were done in DC. During the Gang of Eight debacle, Senator Cruz was again front and center in the fray. He proposed several amendments that would have made that bill acceptable to the vast majority of the citizens of this country. He also knew at the time that there was no way on the planet the amendments would get passed, or if they did that the bill would pass with the language included. Those amendments aimed to eliminate any path to citizenship for illegal aliens currently in our country. It did not go so far as deportation. It was a compromise of sorts. But one that a man of principle could abide, and one that Cruz’s constituents likely would have supported. In the end, his predictions were absolutely correct. The folks in DC had no interest in passing “comprehensive immigration reform” if there was no amnesty as part of the deal. The bill came out of the house dead on arrival. So, what was the point, if he knew he couldn’t get those amendments passed? Or if the amendments passed, and the bill would be dead? Again, it was a brilliant strategy. The point was not simply to obstruct or to pass legislation for the sake of passing legislation. It was again to highlight the business as usual, back-door politics that was going on. It was to bring to the attention of the American people not only the bad deal that was being made, but the players who were pushing it. And in the end, it was to accomplish one of the most important jobs of the Senate, to stop bad legislation from being made into law. Most importantly of all, both of these high profile battles, seemingly lost, accomplished a significant goal. Ours is a system of representation. To accomplish anything in DC, you need agreement or cooperation from hundreds of people. The wave elections of 2010 and 2012 helped send a small cadre of principled men and women to the legislature in DC, but they were still a small and beleaguered crew. To really accomplish a reversal of decades of corruption and unconstitutional drift, requires time, patience, and most of all people. The election of 2014 maintained the Republican control of the Congress, increased the ranks of Constitutional Conservatives, and transferred control of the Senate to the Republicans, finally wresting control from Harry Reid. Is the job done? No, which is why Senator Cruz then proceeded, as recently as last year, to stand on the floor of the Senate and excoriate the Majority Leader of his own party for betraying his colleagues with a lie about a major piece of legislation. And why Senator Cruz is now running for President of the United States. Ted Cruz as nominee for the Presidency has the background, wisdom and voice to encourage the electorate to send in the reinforcements by nominating and electing more conservatives to the House and Senate. And as President, he has demonstrated the wisdom to know how to pick his battles strategically. To not let losing a battle deter or discourage him from continuing the fight. And to use each and every battle to the fullest extent to advance against the enemy’s lines and press them. If you look at every war in history, from the shooting wars like the American Revolution and WWI and WWII, to the war of wits and nerve like the Cold War, the war is never won with a battle. Both sides sometimes lose. But the side with the best strategy, and a view toward the big picture and the long game is the side that eventually wins the day. It takes wisdom to keep the end in sight, and see the steps to get you there. 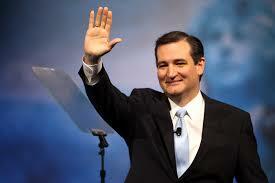 Mr. Cruz has demonstrated that kind of wisdom throughout his life and career.